← What is the link between Jewellery & Valentine’s Day? When Doka and I were jumping thru the hoops associated with opening a business here in Croatia this time last year part of the process involved having our business name ‘approved’. While Doka’s fabulous filigree jewellery is the main focus of our business we also have a selection of various other Croatian made products in our Korcula based store and a small selection of Fair Trade goods from Nepal. When we were choosing the name for our shop we wanted to be able to express our uniqueness and include the family name. 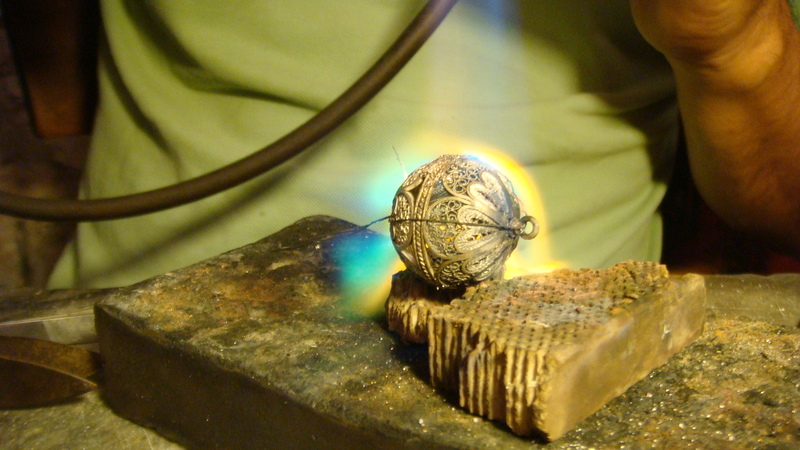 The Seba family have been working with filigree jewellery and perfecting filigree techniques for approximately 500 years and we are very proud of this – including Seba in our business name seemed like a good way to reflect tradition and family values. We had several name choices, and asked friends and family for input before we settled on Seba Design. 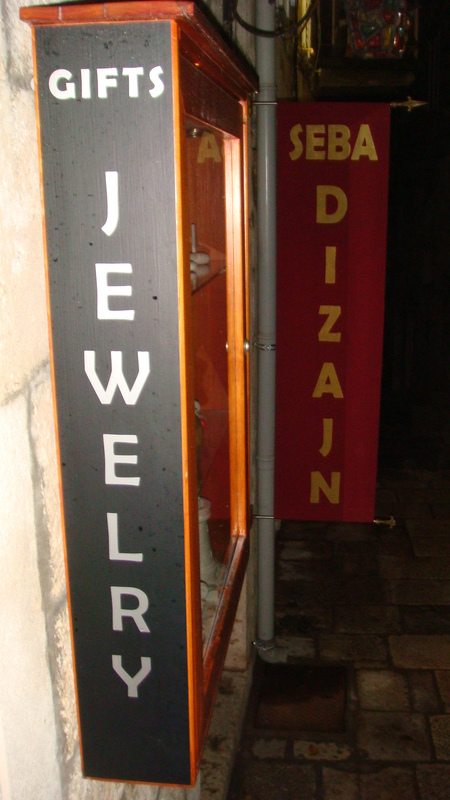 During one of our many visits to the local council we were told that we were not allowed to use any english words in our shop name so design became dizajn, which is Croatian for design. At the time we felt that phonetically diz-ajn sounded similar to its english equivalent and hoped that people would work out the connection. All of our jewellery designs are original and Doka is continually working on something new for our store. We are currently in our pre-season lull (which lasts 6-8 months!!) and I have been busy with sourcing new Croatian based suppliers for our store so that we can introduce some new products for 2012. I am also working on a re-fit for the shop, encouraging a greater emphasis on our stunning jewellery. Those of you that have visited our shop, or been following us on facebook or via this blog will be aware that all of our jewellery is made right here, on site. It is so rewarding being able to share Doka’s skills via our shop/studio and we have had so much positive feedback about his work. I continue to find watching Doka work and seeing the variety of pieces of jewellery that he produces exciting and fascinating and we are looking forward to welcoming this seasons visitors to Korcula into our store for an introduction to filigree production. The very short tourist season here in Croatia has spurred me on to explore various Social Media to share our work with a wider audience. My first step was creating a facebook page for our business, www.facebook.com/SebaDizajn. This page enables me to promote new products and share what is happening here in Korcula with our friends and family who are not here, and slowly our audience is building. For me there is a still a nice buzz when new people connect with us via our facebook page. I kept the name Seba Dizajn for our page because it directly relates to happenings here in our shop. Next came this blog, and the name Seba Silver was introduced, my intention was to use the blog to focus more on the jewellery aspect of our business. With the help of Nikki Pilkington & her daughter Leigh we have now introduced a website for jewellery sales, (www.sebasilver.com) which hosts a growing collection of our unique, handmade filigree jewellery. Some of you will be that we are also using Twitter to explore and expand our social media connections. Our current Twitter name is SebaDizajn but I am concerned this really does not reflect our business at all. So, I am contemplating a Twitter name change, unfortunately the name SebaSilver is already taken (& has not been used for 2 years!). I would love some suggestions for a new Twitter name that more accurately reflects our jewellery business. Can you help? SebaSilver is NOT an option, and SebaDesign is also taken. What do you think would be a more suitable name for us to adopt for Twitter? This entry was posted in Business Start Up & Growth, Jewellery and tagged filigree, handmade, jewellery, name, Seba Dizajn, Seba Silver, Twitter, unique. Bookmark the permalink. 13 Responses to What twitter name will help us attract followers? I tweet under @Quillcards and @DavidBennett and – I still use both, but I get more engagement and feel more ‘at home’ with my own name. Thanks David. That’s two votes for Ruth Seba….. wonder if there will be any more suggestions? Watch this space! Hope all well with you. Hi Ruth, I would stick to SebaDizajn because it is the name of your business and as it suggests, your main business is about design. One of the hardest things I found when promoting my business is that people don’t automatically assume you actually DESIGN your products. Once they get that, the fact that you may sell other bought in things too is just an additional bonus for customers. If you really felt you had the time you could start a new account called RuthSeba and tweet slightly differently from that account. I have an EastonDesStudio (Easton Design Studio) twitter account but rarely use it… but I find when people find it – they usually come and follow me anyway. Hi Shona! Thanks for your feedback. I do like the SebaDizajn name so will most likely stick with it and perhaps start a second acct… Does Dizajn make you think of design? you are tweeting personally or just for business? i like it when i can remember the name easily. so what about simply “seba”? at the beginning i found it difficult to remember the dizjain and i guess i have still problems to spell it properly! on the other hand i am glad to learn that not only german officials are such burocrats. so croatia will fit perfectly to EU!